Half loafer, half mule, you’ll get twice the style in these Aerosoles Duble Down slip-ons. 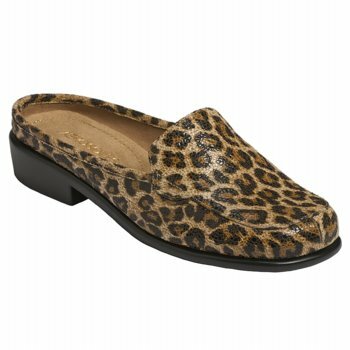 Faux leather in Leopard print, Zebra print fabric, or Croco-embossed patent upper in a casual mule inspired loafer style with a round toe. Textile lining with a cushioning sueded insole. Rubber traction outsole. 1 1/4 inch heel.